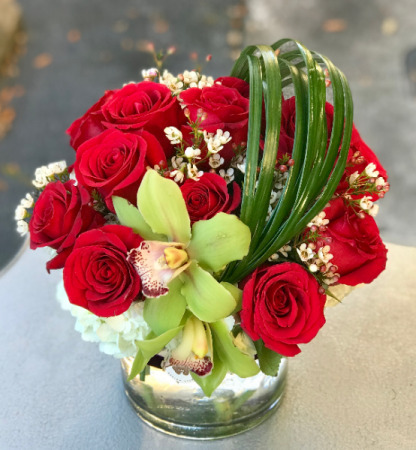 24 Roses arranged in a glass vase featuring, Spray Roses, White Hydrangea, Cymbidium Orchids, accented with Dusty Miller. 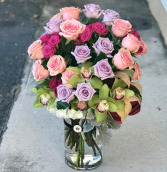 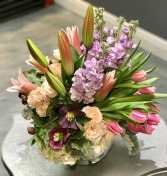 Arrangement Size 25'x 16' Colors may vary, if you want specific please call the shop. 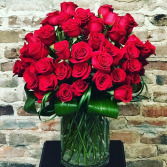 5 dozen red roses in a clear vase.